What if I told you there's an exercise program you can do while you're sitting down that can make you look three years younger, would you be interested? Well, keep reading. Because that's exactly what I'm about to tell you about. New research has found that following a facial exercise program for 20 weeks could make you look an average of three years younger. Interestingly, one of the reasons people typically exercise is to decrease the appearance of fat. For facial exercise, the opposite is true. 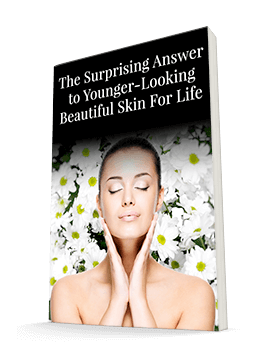 As we age, our skin becomes less elastic, and the fat pads that support our skin and give it a full, round, youthful appearance begin to thin and slip. Facial exercise can help strengthen and expand the underlying muscles to prop those fat pads up. For this study, researchers asked women between the ages of 40 and 65 to attend two 90-minute, in-person training sessions on how to perform facial exercises. Then, they did the exercises at home every day for 30 minutes for eight weeks. After week eight, they did the exercises for 30 minutes every other day until the end of week 20. The researchers evaluated the effects of the study by asking dermatologists to assess photographs of the participants, including asking them how old they thought the participants were. The dermatologists assessed the photos at the beginning of the study, at the end of week eight, and at the end of week 20. Their average age estimate went from 50.8 years to 49.6 years to 48.1 years as the study progressed. The participants agreed that the exercises made a difference and reported being highly satisfied with the results. When it comes to improving our skin, we often try to do so by applying products to the outside and letting them work their way down. And that's absolutely beneficial. But this study offers an important reminder that working from the inside out can be helpful as well. Adding an easy and free exercise program to your routine can be a great way to supplement your skin-care regimen. If you'd like to give this program a try, you can find instructions on how to perform some of the various exercises the participants used by following this link: https://www.youtube.com/watch?v=JoNeuAloVlU. The creator of the Happy Face Yoga program, Gary Sikorski, served as one of the coauthors on this study. Once you get the hang of the moves, you can easily do them during your commute, while you watch TV, or as you're working. There aren't many other exercise programs out there that are this easy to do anywhere!